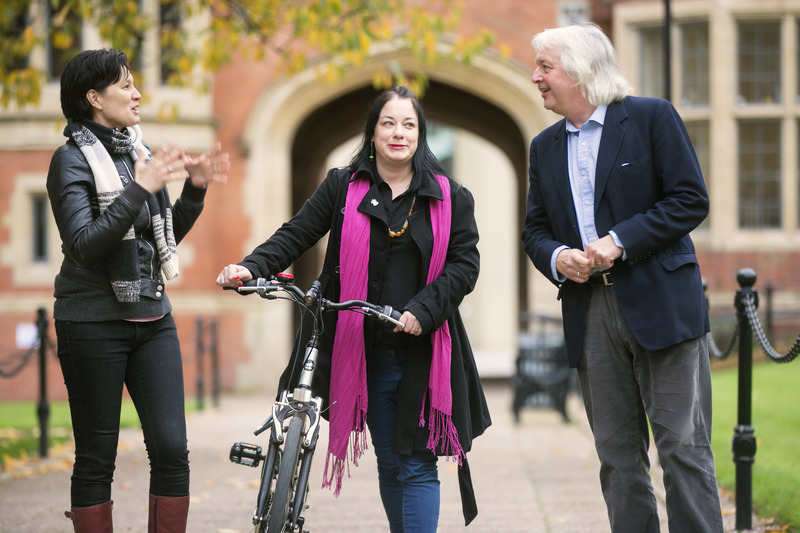 Image: Pictured (L-R) is Shannon Yee, Sinéad O’Donnell and Professor Piers Hellawell. A composer, playwright, performance artist and a visual artist have each been presented with Major Individual Awards (MIA), worth £15,000 each, from the Arts Council of Northern Ireland, the highest honour bestowed by the body responsible for the development of the arts in the region. 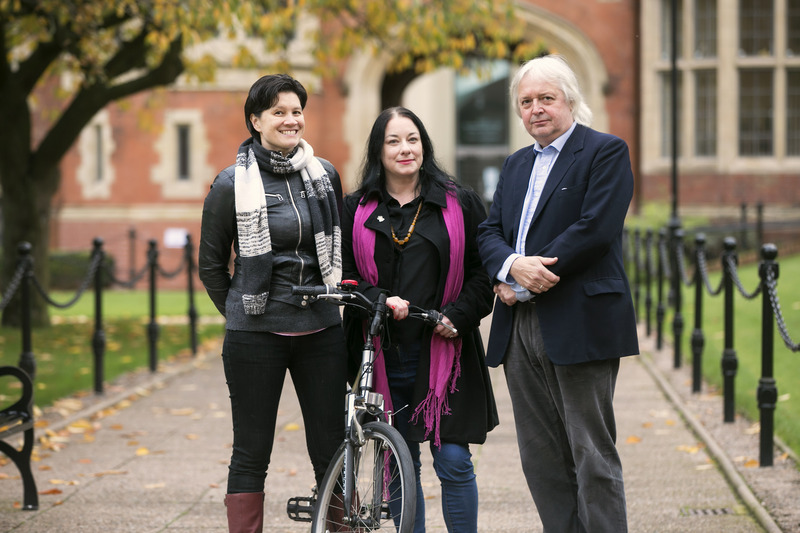 The recipients of the prestigious awards, which are given in recognition of the contribution each of the artists has made to creative life in Northern Ireland, includes composer Professor Piers Hellawell, playwright Shannon Sickels (Yee), performance artist, Sinéad O’Donnell and visual artist/filmmaker, Mairéad McClean. The awards, funded through National Lottery, make it possible for these artists to take time out to dedicate to their creative work and to produce a substantial, ambitious project that will make a significant contribution to the development of their artistic careers. The four join a distinguished list of artists who have previously benefited from the Major Individual Artist award including writers, Jimmy McAleavey, Anne Devlin, Carlo Gébler, Damian Gorman, Patricia Craig, Sinéad Morrissey, Glenn Patterson and Owen McCafferty; leading visual artists, Rita Duffy, Susan MacWilliam and Cara Murphy; celebrated composers, Ian Wilson, Elaine Agnew, Conor Mitchell, Deirdre McKay, acclaimed musicians including pianist, Michael McHale, jazz drummer, David Lyttle and choreographer, Oona Doherty. Each of the artists will now use the funding to develop a series of new works. Professor Piers Hellawell will undertake a comprehensive digital recording of his works over the last 8 years, including his BBC Proms 2016 commission for the Ulster Orchestra as the centre-piece. The second element of the project will enable collaboration on an experimental work, with Friction Quartet in San Francisco, the leading string quartet in America for contemporary music, to enable the composer to complete his third quartet, a work being created specifically for the ensemble. Shannon Yee’s new work entitled, Starf*cker, is informed by astronomy, popular culture, psychology, and Greek mythology and pushes the boundaries of how theatre is made and presented. Starf*cker interrogates how our preoccupation with packaging ourselves to be consumed by an online universe, affects our ability to truly know ourselves and each other. Shannon is developing the project with movement & music company Assault Events, who she has worked with since 2010. The highly innovative project explores how theatre, dance, social media, music and video projection technology can immerse audiences on and offline in this story of two stars and their journey to stellar autopsy. The finished work will be presented at the Dublin Fringe Festival in 2019 or 2020. 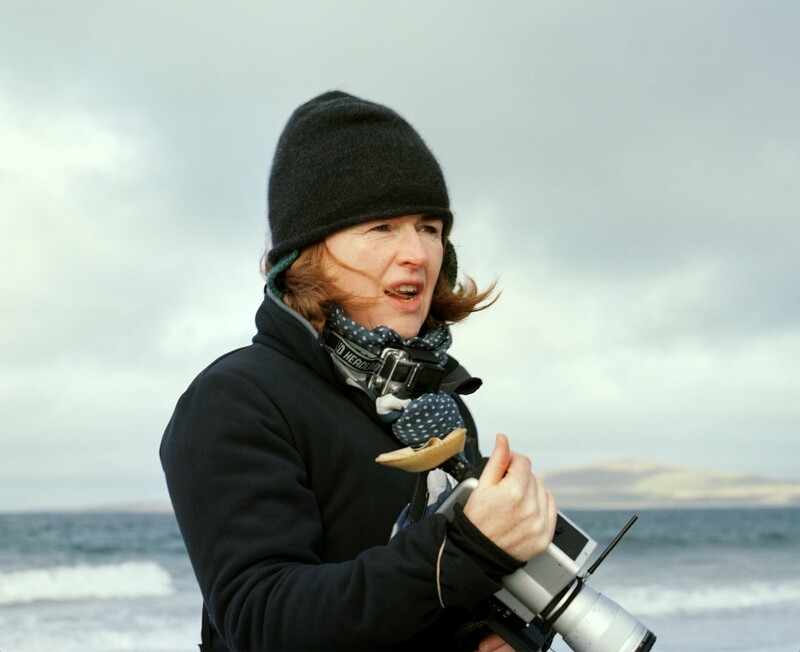 Visual artist & filmmaker Mairéad McClean's new work entitled, Making Her Mark, is a new body of moving image and sound work which addresses the concept of borders from the perspective of the individual, set in rich political, historical, geographical and personal landscapes. The aim of the project is to reflect on the concept of borders, to stimulate debate and to prompt the audience to think about their individual connection with a place; the possibilities and sense of belonging, as well as the burden or weight which history places upon each of us. The project will be filmed in remote locations in Northern Ireland and the Outer Hebrides. Making her Mark has been commissioned by The Wapping Project and will be shown first at Taigh Chearsabhagh, Outer Hebrides, August-Oct 2018. Performance artist Sinead O’Donnell will create Crossing Permissions, a new body of live performance art and video work. Sinead will work with curators Silvio De Gracia ( Argentina), Cecilia Stelini ( Brazil) and Clemente Padin (Uruguay) in Latin America and create an international exhibition of high profile art, placing performance art and disability in the mainstream contemporary arts scene. The final work will be presented in 2018 at Millennium Court Arts Centre, Portadown, Northern Ireland. Major Individual Artist awards form part of the wider Support for the Individual Artist Programme (SIAP) which is administered by the Arts Council of Northern Ireland annually. Visit www.artscouncil-ni.org/funding for information on all funding opportunities.